Love is in the air! I'm currently working on engagement party invitations for a dear friend from college. Can't wait to share those... they're looking great! But first I want to share a little happy that I made for another one of my best friends, Weaver, when she got engaged. I always thought I wanted to be an event planner, that is until I realized I'd rather be planning my own parties than someone else's! 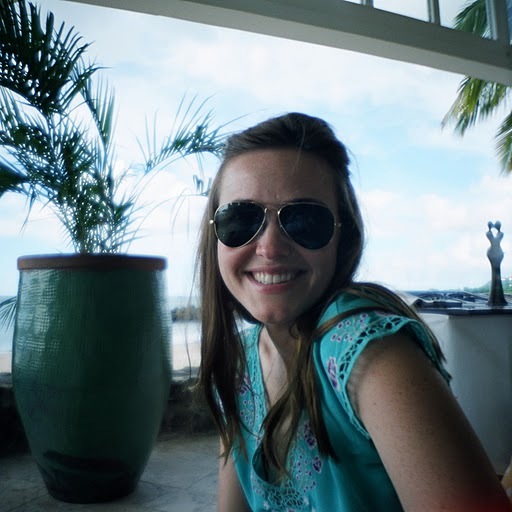 I'm a planner and what's more fun to plan than a wedding? 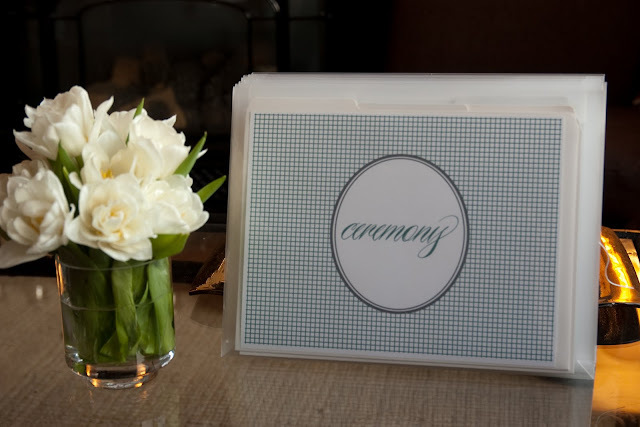 I put together a little wedding planning and organization set for Weaver and designed it just how I wish I had organized our wedding planning materials. During my engagement, I set up a binder-- one for me and one for my mom, and the problem was that the binder gets way too heavy. Solution? 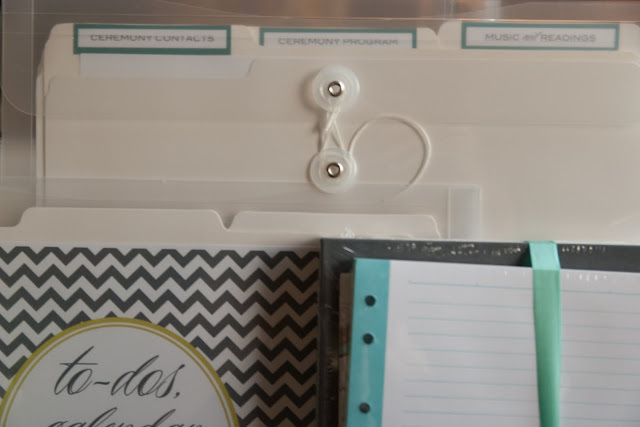 Set up file folders, group them into categories and corral the folders in clear envelopes. That way, you just grab the envelope you need and go! I also included a mini notebook from Russell + Hazel, so she can keep all of her notes organized. I just love their products. 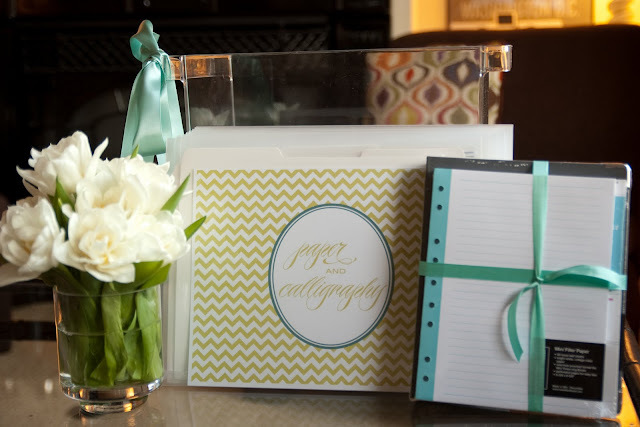 Inside each folder are wedding worksheets-- checklists, questions for vendors, timelines, etc. I love the way they turned out and hope they help with the wedding planning chaos! 1 comment on "Engagement Happy"
As the grateful recipient of this treasure, I am most appreciative! No detail was left out- it is an invaluable aid!!!! Thank you Candy!!!!! Thanks for stopping by. Enjoy! Steakhouse Dinner in 15 Minutes?